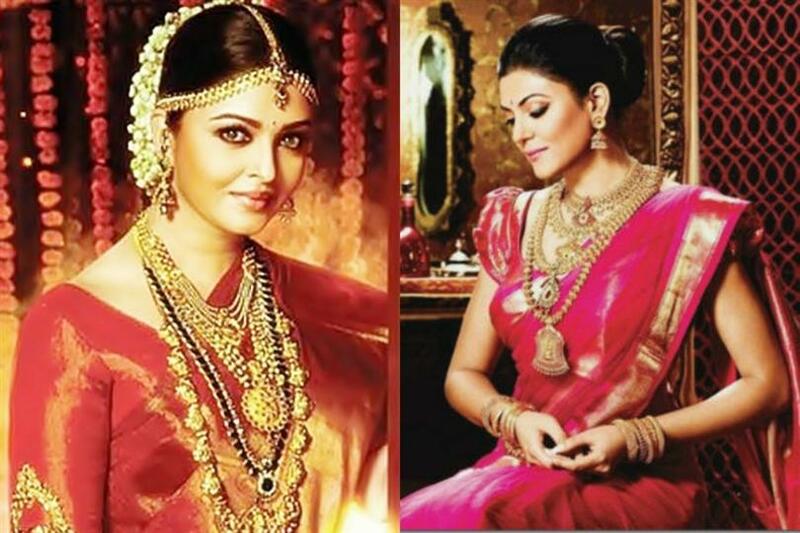 India had witnessed the most glorious reverence in pageantry during the 90s. What even the powerhouse of pageantry, Venezuela could not do, India did it in just four years! Indias sash was incredibly threatening in the era of 90s and this could be gauged from the National Director of Venezuela, Osmel Sousas remark that if India enters in Top 5 its time for other nations to pack their bags and go home! The glory which was unbeatable in India is now gradually going downhill. What is it that went wrong? A powerhouse nation that won four Miss World crowns and Two Miss Universe crowns in just four years with several runner ups and crowns in other major pageants is now crownless at all the key pageants since 15 years, if we keep aside Miss Earth 2010 crown! Winning both Miss World and Miss Universe in the same year twice is no cakewalk, and India still has something in it that made them grace the powerhouse tag! The nation has lot of beautiful girls, but the training sessions are extremely broke and the media buzz for pageantry is almost nil! Since 2001, after Celina Jaitleys input at Miss Universe, no delegate from India has been placed in Top 5 of Miss Universe. To evade the loopholes, India came up with I am She pageant for the first time when both the Miss World and Miss Universe representatives were selected at different national pageants. The pageant was organized by the very first Miss Universe from India, Sushmita Sen, and the world thought that India is on the path to claim its powerhouse status. But Indias hopes soon shattered when their delegates got unplaced at Miss Universe year after year and Sushmita Sen had to give up the franchise. The franchise went to Miss Diva now, which in its inaugural year sent Manasi Moghe to Miss Universe, who eventually finished as a Top 10 finalist! In its second year Miss Diva sent Noyonita Lodh to Miss Universe who finished as a Top 15 finalist! The third year of Miss Diva was mentored by Miss Universe 2000, Lara Dutta, who is also the second Miss Universe from India. Lara Dutta crowned Urvashi Rautela as Miss Universe India 2015 after three weeks of judgment. Despite of being so beautiful and popular, Urvashi Rautela failing to make the cut in semi final in Miss Universe 2015 is extremely surprising! India placed for three consecutive years from 2012 to 2014 at Miss Universe! Her exclusion marks the break from the uninterrupted placement streak which India was proud of. Similarly, India who has five Miss World crowns formerly, is unplaced at Miss World 2015. With Aditi Arya being so humble, gregarious and dedicated, her exclusion is certainly very surprising. India has had 20 placements at Miss World. After four consecutive placements, Aditi Arya failed to make cut even in the quarter finals. India, like Sweden and Finland, is losing its glory in pageantry! Who would believe Finland was once a powerhouse? It is still an alarming thought for Indian pageant organizers to reconsider their selection and training criteria. Do you think it is high time to change the selection and training criteria at Indian pageants? Do you think its time to consider a state competition and follow the pattern of Miss USA to safeguard Indias tarnishing image? And do you think India should consider training sessions held in Philippines or Venezuela! Do share your thoughts with us! SUPER happy si 2015 Miss Universe Pia Wurtzbach nang makita niya up close and personal ang isa sa mga favorite Hollywood star niya. Kasama ang kanyang kaibigang si Miss U.S.A. 2015 Olivia Jordan, parang nasa cloud 9 pa rin si Pia matapos makilala ang Hollywood singer-actress na si Jennifer Lopez. Nagkita ang dalawa ma-tapos mag-perform si J-Lo sa All I Have concert na ginanap sa Planet Hollywood The Axis sa Las Vegas nitong nagdaang weekend. Sa kanyang Instagram, nag-post si Pia ng litrato nila ni J.Lo at ibinandera sa buong universe ang kanyang pagiging fan. This happened. @JLo you are [#]goals[/#]. @missusa and I were loving this, sey ng ikatlong Pinay Miss Universe. Mas lalong kinilig si Pia nang irepost ni Jennifer Lopez sa kanyang official Twitter account ang mensahe ni Pia. LAS VEGAS  The newly crowned Miss USA is a 26-year-old Army officer from the District of Columbia who gave perhaps the strongest answer of the night when asked about women in combat. Barber said she plans to use the pageant's spotlight and her title to support veteran's causes and tackle the issue of suicide and post-traumatic stress disorder among military members. When asked what message she had for the presidential candidates  including former pageant owner and presumptive Republican nominee Donald Trump  Barber said they should focus more on veteran's issues, including the backlog at veterans hospitals. The beauty pageant organization also didn't shy away from addressing another controversy from last year  Miss Universe. Chelsea Hardin ang pangalan ni Miss Hawaii, ang first runner-up sa Miss USA 2016. Nanghihinayang ang mga Pinoy dahil hindi nanalo si Hardin dahil kung siya ang nagwagi ng title, isang half-Pinay/half-American ang malaki ang tsansa na maging successor ni Pia Wurtzbach sa Miss Universe na magaganap sa December 2016. Pilipina ang nanay ni Hardin at halatang-halata sa aura ng dalaga ang pagiging Pinay. Hindi naging masuwerte si Hardin na Pinoy na Pinoy rin ang family name dahil ang Black American at U.S. army na si Deshauna Barber ang nag-take home ng Miss USA crown. The Source: Pia W., hagulgol sa goodbye ni Olivia! Black American, bagong Miss USA! May brief participation si Miss Universe 2015 Pia Wurtzbach sa coronation night ng Miss USA 2016 na ginanap noong Linggo sa T-Mobile Arena, Las Vegas dahil siya ang naglagay ng sash sa winner na si Deshauna Barber ng District of Columbia. Ipinagbunyi ng mga Black American ang tagumpay ng 26-years old beauty queen na official representative ng USA sa Miss Universe 2016. Ang pagiging miyembro ng United States Army ang paulit-ulit na binanggit ni Barber sa question and answer portion ng beauty pageant. May mga nagprotesta sa panalo ni Barber dahil mas pinapaboran nila ang 1st runner up na si Chelsea Hardin na official delegate ng state of Hawaii. Second runner up si Emanii Davis ng Georgia. Mga host ng Miss USA 2016 sina Julianne Hough at Terrence Jenkins. Annoying si Terrence dahil naging redundant siya sa pagbanggit sa pangalan ni Steve Harvey sa tuwing tinatawag niya sa stage si Barber, ang delegate ng District of Columbia. Si Steve ang host ng Miss Universe 2015 na naging kontrobersyal dahil pumalpak siya sa announcement ng winner. Si Ariadna Gutierrez ng Colombia ang unang ipinroklama niya na nanalo, hindi si Pia. At dahil magkatunog ang Colombia at District of Columbia, ito ang paulit-ulit at hindi na nakakatawa na biro ni Jenkins. Bilang tapos na ang reign ni Miss USA 2015 Olivia Jordan, si Barber na ang makakasama ni Pia hanggang December 2016 sa official residence ng Miss Universe at Miss USA sa New York. Ang paghihiwalay nila ni Olivia ang dahilan kaya naging emosyonal si Pia sa coronation night ng Miss USA 2016. Humagulgol si Pia sa stage sa pamamaalam ni Olivia! with Miss Universe under IMG, will there be a turnaround? Kaybilis ng panahon at 6 months na palang Miss Universe si Pia Wurtzbach. Nag-celebrate nga si Pia ng kanyang 6th monthsary bilang ikatlong Miss Universe ng Pilipinas nitong June 20. Nag-reminisce nga si Pia ng mga nangyari sa kanya sa loob ng anim na buwan. Kasama na rito ang pakikipag-meet sa mga world leaders, makipag-selfie sa mga international stars, pagbiyahe sa ibat ibang bansa, maging correspondent ng Super Bowl, ma-link sa isa sa pinakaguwapong bachelor sa social media at ang pinakaimportante ay ang matupad ang mga advocacies niya tulad ng pagtulong sa mga bata at ang awareness sa HIV. Nagkaroon din ng isang pambihirang best friend si Pia, ito ay ang Miss USA 2015 Olivia Jordan na naging 2nd-runner up sa Miss Universe. Its the summer solstice, a time where light triumphs over darkness. @Piawurtzbach u r a light shining bright even when haters try to bring you down; thanks for always letting your positivity shine through. Throwing it back to 6 months ago, the night both of our lives changed; mine, mostly just cuz I got you for a Roomie and friend. MANILA, Philippines  Susana Dujim of Venezuela, 1955 Miss World, died of cerebral-vascular accident on June 18 in Nueva Esparta, Venezuela. She was 79. Three months before she was crowned Miss World in London, Dujim placed one of the 15 semi-finalists in the same years Miss Universe pageant won by Swedens Hillevi Rombin. MANILA, Philippines - Vivian Crabajales Yano (left) was crowned 2016 Classic Mrs. Asia International Cosmopolitan /Classic Mrs. Asia International/Classic Mrs. Asia International Popularity Queen in Malaysia recently. Yano, 46, is a native of Adlay, Surigao del Sur. A commerce undergraduate, shes now a successful businesswoman involved in financing, real estate and beauty products. A widow, she has a daughter, 17-year-old Akie, by her Japanese husband. Rizalina del Rosario Asa (right) won the 2016 Classic Mrs. Asia International Tourism/Classic Mrs. Asia International/Classic Mrs. Asia International Most Beautiful Body in the same event. Asa, 54, was born and raised in Hagonoy, Bulacan. Shes married to Erick Asa by whom she has two children and two grandchildren. Miss Philippines 'Maria Jayzamel Vizta' is the new Miss Teen Planet 2016. Wagi ang Gandang Pinay dahil kinoronahan si Miss Philippines Maria Jayzamel Vizta' bilang Miss Teen Planet 2016. Kagabi ay naganap ang Miss Teen Planet 2016 Coronation Night na ginanap sa bansang Sozopol, Bulgaria Eastern Europe at umangat ang pambato ng Pilipinas na si Maria Vizta para maiuwi ang naturang titulo. 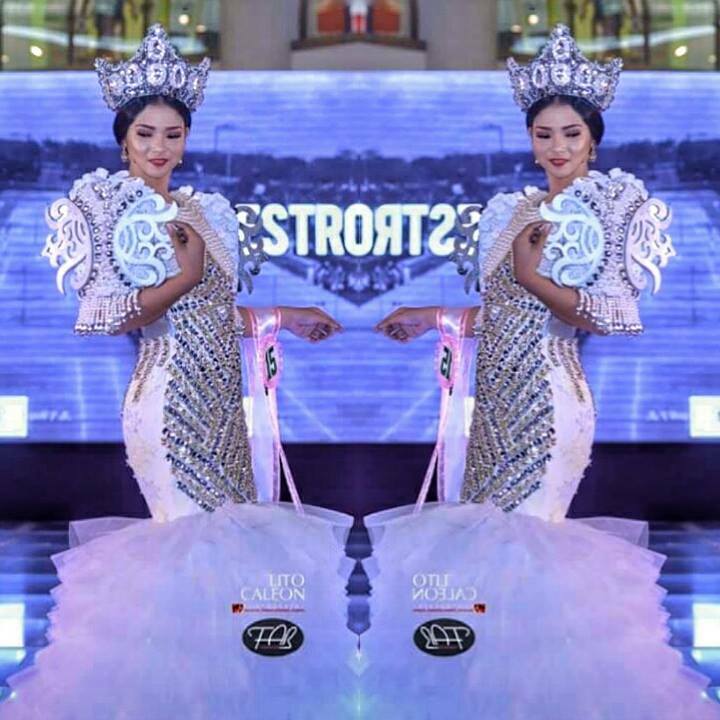 Nasungkit ni Maria Jayzamel Vizta ang Best in National Costume award at siya ang hinirang bilang Miss Teen Planet 2016. Mula dito sa Kakulay Entertainment Blog Congratulations to Maria Jayzamel Vizta! Aprub na lang ni Pres. Digong ang hinihintay Miss Universe 2016 sa bansa gaganapin! Malaki ang tsansa na idaos sa Pilipinas ang Miss Universe 2016 at ayon ito kay Tourism Undersecretary Kat de Castro. Hinihintay na lang ng Department of Tourism ang approval ni President Rodrigo Duterte para matupad ang pangarap ng mga beauty pageant fans na ganapin sa Pilipinas ang Miss Universe 2016. Sinabi ni Kat na kapag pumayag si Papa Rody, magaganap sa January 29, 2017 ang Miss Universe 2016. Matagal nang isinusulong ng mga mahihilig sa beauty contest na maging host country ng Miss Universe 2016 ang Pilipinas dahil isang Pilipina, si Pia Wurtzbach ang reigning Miss Universe. Twenty-two years ago na ang nakalilipas mula nang idaos sa Maynila ang Miss Universe noong 1994. Tatlong venue ang ginamit para sa Miss Universe 1994, ang Manila Hotel, Araneta Coliseum at ang PICC Plenary Hall. Si Miss India Sushmita Sen ang nag-win ng Miss Universe crown noong 1994 at siya ang itinuturing na pinakamatalino na Miss Universe winner dahil sa kanyang intelligent answer sa question and answer portion. Nang matapos ang kanyang reign bilang Miss Universe, bumalik sa Pilipinas si Sushmita pero tahimik ang pagbisita niya. Nakilala lamang siya ng mga Pinoy na nakakita sa kanya sa isang casino at hindi naman nag-deny si Sushmita. Ginaya ni Bb. Pilipinas-Universe 2016 Maxine Medina si Pia Wurtzbach dahil sa kanyang Twitter post na Babawi tayo [#]Pilipinas[/#] matapos matalo ng New Zealand ang Gilas Pilipinas sa FIBA Manila Qualifying Tournament na ginanap sa Mall of Asia Arena noong Miyerkules. Matatandaan na nag-post si Pia sa Twitter ng Kalma lang guys. Ako bahala. Babawi tayo sa Miss Universe noong May 2015 nang madismaya ang mga Pilipino dahil tinalo ni Floyd Mayweather, Jr. si then Congressman Manny Pacquiao sa boxing match nila. Nagdilang anghel si Pia dahil ito ang nanalo ng Miss Universe 2015 crown noong December pero kontrobersyal ang kanyang tagumpay dahil nagkamali ng announcement ng winner ang television host na si Steve Harvey. May mga humanga sa fighting spirit at pag-aala-Pia Wurtzbach ni Maxine pero may mga nagpaalaala sa kanya na paghandaan na mabuti ang pagsali sa Miss Universe 2016 dahil tila mauulit ang mahigpit na kumpetisyon sa pagitan ng Pilipinas at Colombia. Si Ariadna Gutierrez ng Colombia ang naging mahigpit na kalaban ni Pia sa Miss Universe noong nakaraang taon at ang successor niya na si Andrea Tovar ang isa sa mga top favorite sa 2016 edition ng prestigious beauty contest na posibleng idaos sa Pilipinas sa January 29, 2017, ayon kay Kat de Castro, ang newly appointed Undersecretary ng Department of Tourism. Umani ng mga batikos si Maxine nang mapanalunan nito ang Bb. Pilipinas-Universe crown noong April 2016 dahil hindi impressive ang sagot niya sa question and answer portion pero nangako ang kanyang mentor na si Jonas Gaffud na hahasain siya na mabuti. MANILA, Philippines  Audra Mari (left), a 510 22-year-old Fil-Am from North Dakota, was crowned 2016 Miss World America July 8 in Maryland, USA, beating 27 other finalists. She will represent the USA in the 2016 Miss World to be held in Washington, D.C. in December. Regning queen is Mireia Lalaguna Royo of Spain. Audra is a Deans List student at the North Dakota State University, taking up Public Relations and Communications. In 2011, she was crowned Miss North Dakota Teen USA and first runner-up in the national pageant. In 2014, she was crowned Miss North Dakota USA and placed first runner-up in the 2014 Miss USA pageant. Aside from Walang Take Two (directed by Carlo Jay Cuevas, winner of Best Film and Best Cinematography for Giancarlo Escamillas), Joel Lamangans Tomodachi also won Best Foreign Language Feature Film and Best Original Score for Jacky Woo (right, also the executive producer) and Emerzon Quintillan at the just-concluded Madrid International Film Festival. The film was produced by Dennis Evangelista and Ferdy Lapuz for Global Japan, Inc.
By Helmut Schmidt on Jul 9, 2016 at 5:36 p.m.
NATIONAL HARBOR, Md. - Fargo resident Audra Mari was crowned Miss World America 2016 on Friday, July 8, at the Gaylord National Resort & Convention Center here, according to a pageant social media page and websites that follow national pageants. The 22-year-old will represent the United States and be the host contestant at the Miss World 2016 pageant in Washington, D.C. That event will crown its winner Dec. 20. The first runner-up for the Miss World America title is Shivali Patel of North Carolina, and the second runner-up is Sasha Perea of the District of Columbia, Criticalbeauty.com reported. Mari won the interview segment of the pageant, and shared the top model prize with Shivali. Previously, Mari had been first runner-up in the Miss USA 2014 pageant, and first-runner-up in Miss Teen USA 2011. Mari's focus for advocacy is to stop bullying, Missosology.org reported. Twenty eight women from across the United States competed for the title. MAY bago na namang beauty pageant crown ang Pilipinas! Kinoronahan bilang Princess of the World ang batang Pinay na si Elysha Dinn Rasay ng Santiago City sa katatapos na Search for Prince and Princess of the World 2016 sa Bulgaria. Si Rasay ang kauna-unahang tinanghal na Princess of the Philippines noong Enero, kaya siya ang naging kinatawan ng Pilipinas sa Bulgaria noong Hunyo 21-28. Marami ang nagandahan sa makulay na hand-painted Filipiniana gown ni Elysha. Marami rin ang natuwa sa kanyang mahusay na pagsayaw sa talent portion ng pageant. Ginawa ko po kasi yung best ko kaya po ako nanalo. Tulad po ng sa question and answer, doon po sa mga ibang attire na imo-model ko po, pahayag ni Elysha sa interview ng ABS-CBN. Aminado ang batang Pinay na mahigpit ang laban sa nasabing pageant, ngunit dahil sa kanyang taglay na ganda, confidence at talino ay naiuwi niya ang titulo. 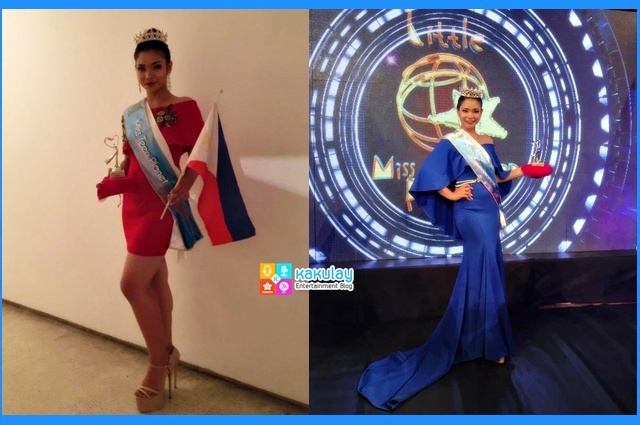 Nakalaban niya sa pageant ang mahigit 40 na bansa katulad ng Russia, Ukraine at Japan. Dulot nito, marami naging kaibigan si Elysha, at siya ay naiimbita pa na pumunta sa ibat ibang bansa. Nagpasalamat ang batang beauty queen sa lahat ng mga sumuporta sa kanya, lalung-lalo na sa mga nagpaabot ng mga mensahe at comments sa kanya. Ayon Ritchel Rasay, ina ni Elysha, nagbigay ito ng matinding inspirasyon at dahilan upang higit pang pagbutihin ni Elysha ang kanyang mga ginagawa. So na-inspire po siya doon, ayon kay Ritchel Rasay, ina ni Elysha sa interview ng ABS-CBN. Samantala, nais ni Elysha paglaki ang maging modelo, at suportado naman ito ng kanyang ina. Miss Universe 2015, Pia Wurtzbach announced that shell be going back to the Philippines very soon during a Facebook Live session on Wednesday (Manila time) from her New York apartment. Though she didnt clearly state the reason for her return, it is believed that it will be for Miss Universe talks. When asked by one Facebook user about where the Miss Universe pageant will be held, Wurtzbach said that shes still waiting for the confirmation about it. Right now its in the works, hopefully, fingers crossed, its the one that Ive been praying for and I guess you know what that is so lets just hope for the best, she said. Pia has been very vocal about how she wants to hold the international beauty pageant here in the Philippines. Were trying to find ways on making it happen, she added. 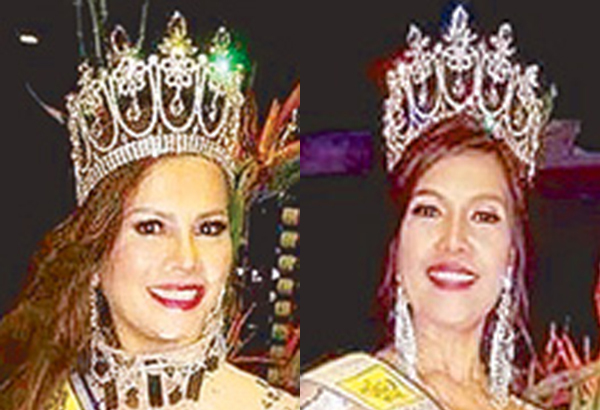 Recently, Tourisim Secretary Wanda Teo also told the media that she will set up talks with the President to discuss the possibility of the Philippines hosting the next Miss Universe pageant. Reigning Miss Universe Pia Alonzo Wurtzbach on Wednesday said she is hoping and praying that the 2016 edition of the prestigious beauty pageant will be held in the Philippines for the third time. As this developed, Tourism Secretary Wanda Corazon Teo said her proposal to have the country host the Miss Universe pageant in Manila was approved by President Duterte. The President agreed that sponsoring the event would be a tourism marketing coup with the Philippines Miss Universe Pia Wurtzbach at the helm, Teo said. You know, Im still waiting for the confirmation on when its gonna happen. Right now its in the works. But hopefully, fingers crossed, its the one that Ive been praying for. And I guess you know what that is. So lets just hope for the best, said Wurtzbach, during a live Facebook chat with fans around the world from her New York City apartment. The Filipino-German beauty queen said that she will be coming back to the Philippines soon. Im going back to the Philippines very, very soon. Her 20-minute live Facebook chat had 670,861 views. The last time Wurtzbach visited the Philippine was in April when she crowned her successor at the 2016 Binbining Pilipinas pageant. Since she was crowned Miss Universe in December 2015, Wurtzbach has actively campaigned for the staging of the pageant here. Newly appointed Tourism Secretary Wanda Corazon Tulfo Teo has earlier said that President Duterte and Wurtzbach are scheduled to meet on Monday, July 18, for the possible staging of the Miss Universe pageant here. The Miss Universe Organization wanted to hold the pageant in the Philippines on January 29, 2017, but Teo suggested that it be moved to either March or May due to time constraints. In the 64-year history of the Miss Universe pageant, the Philippines played host twice, in 1974 and 1994. Aside from Wurtzbach, the two other Miss Universe winners from the Philippines are Gloria Diaz (1969) and Margie Moran (1973). Wurtzbach is now based in New York City for the duration of her reign as Miss Universe. 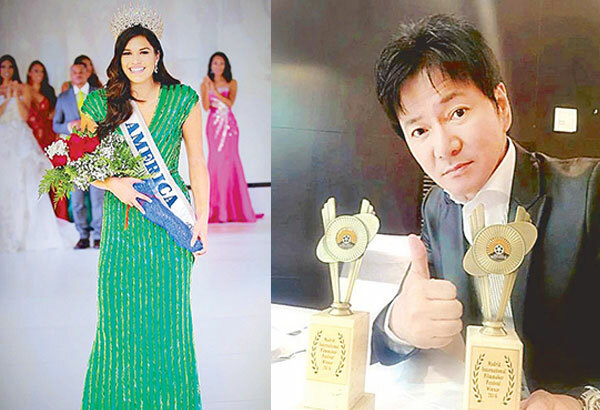 Teo hatched the plan to host Miss Universe 2016 after she took over the Department of Tourism (DOT) and stressed that it would help the countrys tourism. Once Pia announces that Miss Universe is going to happen here, people abroad will start looking at the map and see where the Philippines is. And, were saying, wed love to have you in PH, the tourism chief added. Teo disclosed that should organizers decide to tap the country as pageant host next year, segments of the month-long contest will be shot in various key tourism destinations sites in Palawan, Boracay and Cebu; the three islands which were included in Travel + Leisure magazines list of Worlds Best Islands 2016. So final na sa bansa nga gaganapin ang 2016 Miss Universe. Sinabi ni Tourism Secretary Wanda Corazon Teo na binigyan na nga raw ito ni President Duterte ng go signal. The President agreed that sponsoring the event would be a tourism marketing coup with Philippines Miss Universe Pia Wurtzbach at the helm, sabi ni Madam Teo sa isang statement. Matagal nang nababalita na sa bansa nga ito gaganapin. At si 2015 Miss Universe Pia Wurtzbach ang nangunguna sa kampanya na payagan ng bagong pangulo na dito nga sa ating bayang magiliw ganapin ang paligsahan ng kagandahan. Obviously nagtagumpay siya. Kaya lang, ang reaction agad ng marami, paano mapo-promote ang bansa kung chaka ang airport natin at impyerno pa ang traffic sa Metro Manila na sasalubong sa candidates and delegates ng Miss U? Nakatakdang bumalik ng bansa si Pia para personal na makipag-usap kay Pangulong Duterte ngayong araw, Sabado. Anyway, ayon pa kay Madam Teo, aabot sa mahigit P500 million ang kakailanganing budget para mairaos ito. Dalawang beses pa lang ginaganap sa bansa ang Miss U na ang huli ay noong 1994. Nabigo ang kandidato ng Pilipinas na si Sam Adjani na makapasok sa semifinals ng Mr. World 2016, na ginanap sa Southport Theater and Convention Center, Southport, United Kingdom, noong July 19. 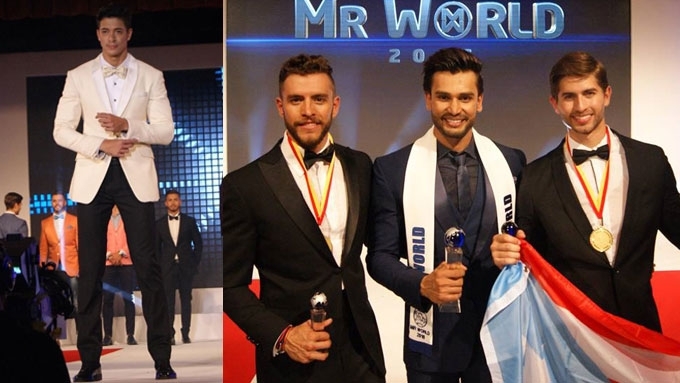 Ang 26-year-old Indian national at television personality na si Rohit Khandelwal ang nanalo ng Mr. World 2016 title. Mga runners-up ni Khandelwal sina Fernando Alvarez ng Puerto Rico (1st runner-up) at Aldo Esparza Ramirez ng Mexico (2nd runner-up). Sa panayam kay Khandelwal, sinabi nitong hindi siya makapaniwala na napanalunan niya ang Mr. World 2016 title. Siya ang first Indian na nanalo ng naturang international title na katuparan daw ng kanyang pangarap. Ang naging host ng Mr. World 2016 ay si Miss World 2013 Megan Young. Dahil dito kaya dalawang linggo na walang taping ang cast ng Conan, My Beautician, ang Sunday afternoon sitcom ng GMA Network. Si Megan ang leading lady ni Mark Herras sa Conan, My Beautician. of Manila, Philippines for a victory parade Monday, Jan. 25, 2016. MANILA, Philippines - The Philippines will be hosting the Miss Universe beauty pageant on Jan. 30, 2017, the Department of Tourism (DOT) announced yesterday. I would like to inform everybody that the Miss Universe Beauty Pageant will be on Jan. 30, 2017, here in the Philippines, Tourism Secretary Wanda Teo announced during a press briefing. Teo said the DOT is looking at Davao, Cagayan de Oro, Boracay, Cebu, Palawan, Vigan and Mall of Asia in Pasay City as possible venues for the pageant. It will be the third time the Philippines would be hosting the event. The Philippines hosted Miss Universe pageants in 1974, held at the Folk Arts Theater, and in 1994 at the Philippine International Convention Center in Pasay City. The Philippines has three Miss Universe titleholders to date: Gloria Diaz (1969), Margie Moran (1973) and current title holder Pia Alonzo Wurtzbach. Teo, for her part, decided to announce the countrys hosting of the pageant even after reports came out yesterday saying President Duterte rejected the invitation to host the event. The article quoted the President as saying he does not want to spend government money for the pageant. There was this news article that came out that the Miss Universe will not push through, so I called Executive Secretary BingBong (Salvador) Medialdea and told him, Is it okay for me to announce that the Miss Universe will be here in the Philippines? And he said yes, Teo said. Last July 18, Miss Universe president Paula Shugart, Miss Universe vice president Shawn McLain and Wurtzbach paid a courtesy call on Duterte to discuss the possibility of holding the pageant in the Philippines. Wurtzbach also wished to crown her successor here. By the time that happens, her reign will be one year, one month and 11 days. The Philippines bet is Maria Mika Maxine Medina, The STARs Face of Allure on Sept. 7, 2014. Teo gave assurance that the private sector has volunteered to cover the $11-million funding needed to host the event. The government is not going to spend a single centavo on it, it will be the private sector that will shoulder the expenses, she said. The DOT said it is just waiting for the official go-signal in the form of an administrative order to be signed by Duterte before the end of the month. A memorandum of agreement will also be signed between the DOT and sponsors from the private sector. She added President Duterte would be meeting with the National Security Council to assure the safety and security of locals and tourists during the pageant. Teo said she is confident hosting Miss Universe in the country will give a boost to the local tourism industry. Once we announce that Miss Universe will be here, people will start looking at the map, Where is the Philippines? So Im sure we will have increased tourist arrivals, she said. Will home court advantage work for 2016 Miss Universe Philippines Maxine Medina? Fellow Pinay and reigning Miss U Pia Wurtzbach is set to pass the crown to her successor on Jan. 30, 2017 in the Philippines, as announced recently by the Department of Tourism. Maxine doesnt want to let the pressure affect her. At first (I felt the pressure) because of the expectations of the people and of course, were all expected to deliver back-to-back (victories). For sure, Ill be giving my 100 percent. Im working hard for it by training, said Maxine, adding that shes intensely training every day, from 9 a.m. to 5 p.m., doing gym and having Dale Carnegie and John Robert Powers workshops, among others. Dayanara was the Miss U when the Philippines last hosted the contest in 1994. She lived and pursued a showbiz career in the country after that. It will be the third time the country is hosting the pageant. The first one was in 1974 at the Folk Arts Theater. 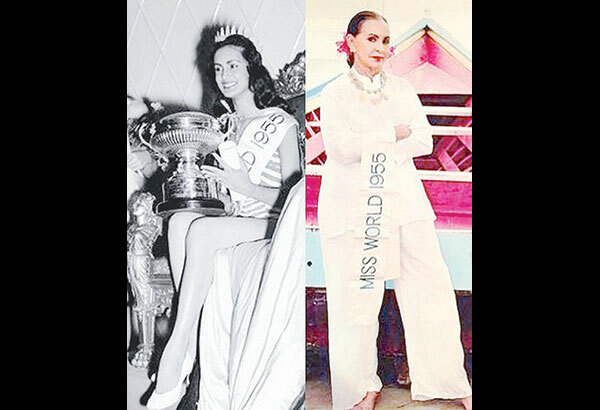 To date, the Philippines has three Miss U winners  Gloria Diaz (1969), Margie Moran (1973) and Pia.